Being a librarian, it's not too surprising I'd have a long reading list -- typical Book Club books, classics, favorite authors like Russell Banks, Doris Betts, and Jane Smiley, and most recently a Lawrence of Arabia biography that is thick enough to stun an ox. True crime, though, is a guilty pleasure. I grew up reading The Onion Field, In Cold Blood, and Helter Skelter. My dad and I used to share books like Fatal Vision, Mind Hunter and (not quite in the genre) Justice at Nuremburg. I regularly watch Cold Case Files, Who the bleep did I marry, Dateline ID, etc. I'm telling you this to make the point that (I think) I'm qualified to review a crime book, whether true or fiction. 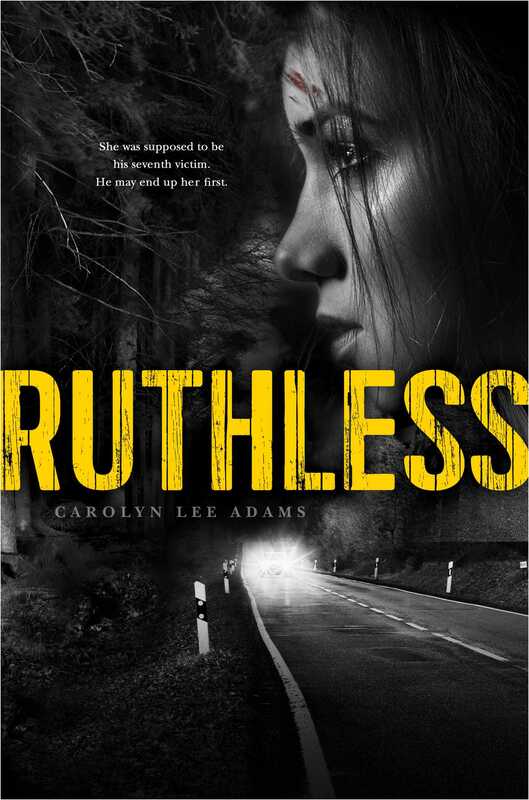 You've all been briefed on the new suspense novel by Carolyn Lee Adams, Ruthless, in a recent post. I'm here to tell you what I thought of it. Every day there is a new headline about people doing horrible things to other people. It's sensational and distasteful to dwell on it too much -- but it is also natural to want to understand the why it happens, to ask the criminal (and sometimes, the victim) what were you thinking? I think this is why the genre is so popular. Ruthless shines in revealing the why and the what were you thinking? in the true crime narrative. The female character Ruth (the captive) is a tough young horsewoman who has more than her share of responsiblity running the family horse business. Ruth is a real person as far as I'm concerned, like me in some ways, but very different in others. Much of the novel goes on in Ruth's head, it's Ruth thinking -- we read her thoughts as she wakes up, injured and constrained, buried under dirty shavings in the back of a truck. We see the world through her eyes as she meets her captor and plots her escape from Wolfman's woods cabin. So many novels of this genre are misogynist -- Ruth is no dummie, and she's no victim, and it's enormously refreshing. Wolfman, you might have guessed, is the serial killer -- he has a penchant for young redheads with attitude, and Ruth is not the first he has taken. Ruth sees grim evidence of past victims as she awakens in a remote cabin where she is held. We get in his head a little too. Wolfman like some hulking fetishy lumberjack, with (alas) a lot of back woods smarts and stalking/hunting/shooting skills. Through flashbacks we learn he grew up in a sick, dysfunctional family, lonely and isolated, and ultimately believing that women caused his problems. Readers of the genre know this recipe, and he's the piping hot sociopathic entree. For better or worse, you'll feel like you're meeting a monster. Dialogue, actual talking, is scarce. It is a testament to Adam's skill as a writer that she can create Ruth and make her so damned real. 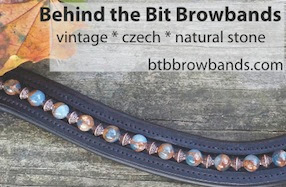 Horse people especially will recognize her -- anyone who competes in equestrian sports knows someone like Ruth -- who by the way earns the barn nickname "Ruthless." If you like this genre at all, I predict you'll get sucked in right away -- the story all but grabs you by the shirtcollar. No spoilers, but -- after Ruth made her initial escape into the woods, I could not put the book down. Tired, hungry, delirious, and petrified, Ruth's voice is authentic, and funny, and hopeful. Her quirky wit in the face of fear make the suspense bearable. This is a young girl we're talking about -- she is all teen -- she ain't perfect, she's got some flaws and issues, but she is a horse girl, a consummate competitor in the show ring. She grew up fast, she likes to win, and to cope with her situation, she makes her escape about winning, just like in the show ring. At work, I was required to attend "active shooter" training -- what to do if someone came to campus with a gun and started -- well, you know. The theme of the training was that survivors of active shooter situations have the ability to a) get past denial and b) believe they would survive, and c) take action. That is exactly what Ruth does. If I had to pick three words about this book the words would be authentic -- suspense -- and wit. And that's the best recommendation I can give, I think, for this kind of novel. If you'd like to read the book, but not pay for it ;-), I'm doing a giveaway! Tell me in a comment why you MUST read it, and LEAVE A MEANS OF CONTACT (e.g., email). Thanks and happy reading! Ohhhh! This is right up my alley! Before I became a photographer, I was studying to be a forensic psychologist -- that I think means I MUST read this! ps. You should read Working Stiff if you already haven't... it's a memoir of a woman doing her pathology residency in NYC, all based on actual real life stories! I read it in two days! I must read it because I'm stuck out in the field doing bat research and I've RUN OUT of books to read! I simply must get my paws on something else to read and soon. And a horse -related book is just icing on the cake. True crime, young adult and horse related. All my guilty pleasures rolled into one. Sign me up. I just read the synopsis and it just sounds insane!! I love the title of this book~ I'm so curious to see just how far things (Ruth) will go in the story. My email is pin746@gmail.com or you can find me on Twitter: @bookcatpin :D Thank you for the giveaway! And thank-you for the chance!